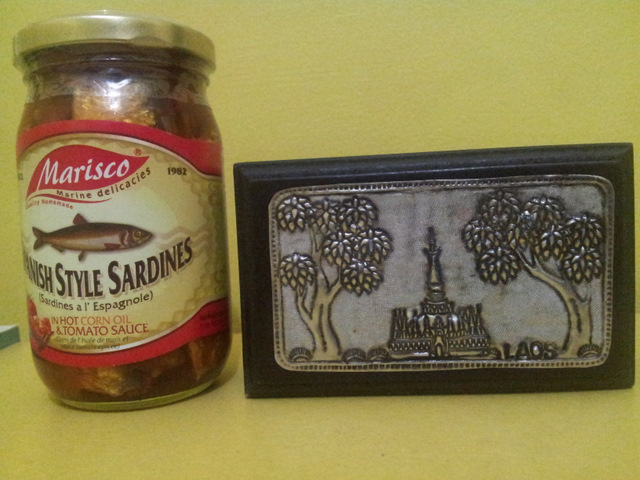 One participant gave me sardines in corn oil and tomato sauce from her country, Philippines. It was delicious. It's different with sardines in Indonesia. The other one gave me a box from her country, Lao PDR. I use it to safekeeping my jewelry. This makes me wonder. I just help this participant from Philippines to booked a room in the nearest hotel from meeting place, since hotel where the meeting was held was fully booked. I also handle her airport transfer so the hotel will pick her up in the correct date and time. For the participant from Lao PDR, I just advised her with the hotel room and offering my help when she had difficulty to booked her flight to Indonesia. I never thought they would feel very thankful to me and said things like they didn't know what will happened if I wasn't help them. As I already said, I simply just do my duty, never expected something from everyone that I helped, and never will. You know what? This makes me remember one of my boss that help an orphan (it's been a long time ago) to pay his tuition fee. Last month that child came to my boss' office to convey his thanks, said that he could graduated from school due to her help. My boss herself didn't even remember about it. She said she just gave him a small amount of money when she heard there's an orphan that needed help. This makes me think that maybe some little actions from us could mean a lot to somebody. Just like when I passed by Grand Indonesia and there's a group of street children that felt thirsty after they've eaten. I offered them my drink and they was smiling really wide to me. I do it without any deep reasoning, just compassion. Could it mean something to them? I also remember all of my families that had help me so that I could graduated from Gadjah Mada University. I haven't show them my gratitude yet. T^T. I feel ashamed and promised myself to show them how much thankful I am to have a caring families like them. So, have you show your gratitude to everyone that had help you today?